With the onset of digital age and its resources, the term mobility is rapidly being associated with convenient and fast modes of transportation.This is especially true for groups of people travelling to a place for the first time, the tourists, who find Uber convenient and safe to travel as opposed to other means. Inspite of strong opposition in Barcelona, Uber is still being used a major source for commuting among people. 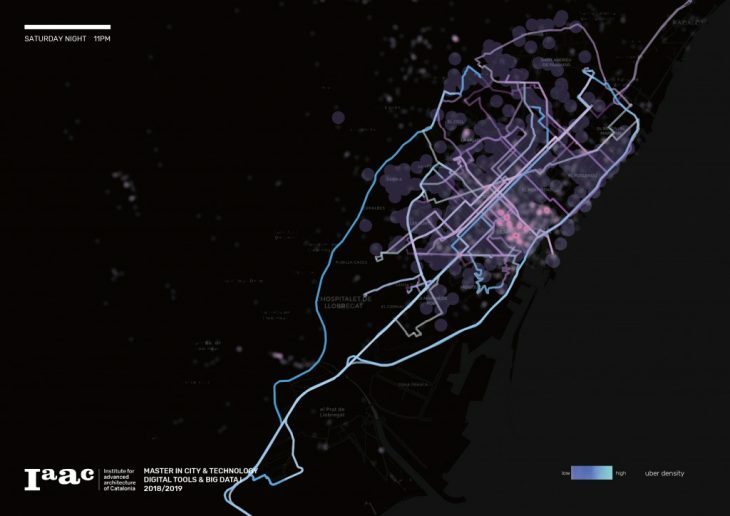 For Uber to function efficiently, it is essential to have connection to internet via data networks or wifi.So the project aims to determine the influence of WiFi spots on Uber connectivity.This has further been cross referenced with the touristic destinations as it can be deduced that Wifi would be majorly used among them than the locals or people who live in Barcelona. 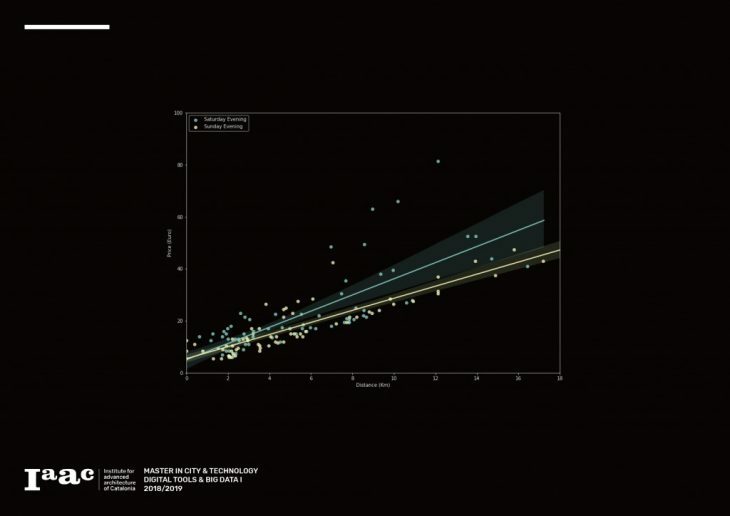 From the images above, it can be clearly seen that Uber connectivity doesn’t depend the slightest on the WiFi Hotspots meaning that Majority of Uber users probably use the Mobile data network for connecting to Uber. 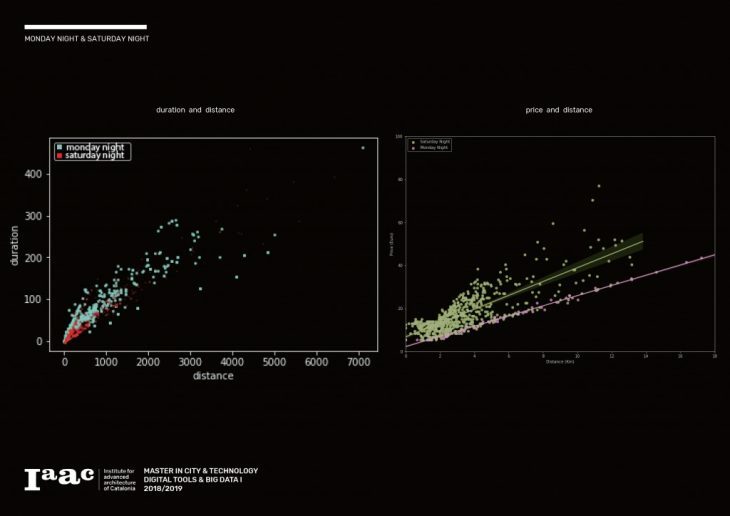 Further, the project looked into the city dynamics using Uber as a tool. Three sets of comparative data was used for this purpose.First, comparative Uber data analysis was done between weekdays and weekends. 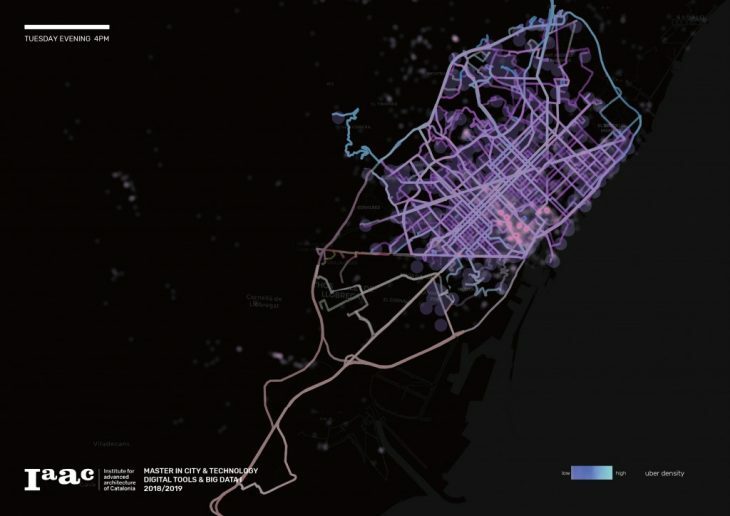 It can be clearly deduced from above that the usage of Uber is clearly higher on weekdays leading to a possible conclusion that Uber is used more for commuting than for recreational purposes.It is also interesting to note that the Ronda Litoral near the coast seems to be unaffected by the days and seems to be always on demand. However the comparison of prices tell a different story altogether.Prices are charged at higher rates during weekends than on weekdays. Next, the focus of the project was on the Uber activity during weekends. Here, it can be clearly seen that the activity is much higher on Saturdays than Sundays and different areas have different levels of demands.Also, Saturdays seems to a day of higher pricing than of Sundays. Further analysing weekdays, the activity of Uber seems to be much higher on a regular weekday evening than of Friday evening.However, the area the demand is being catered to remains very different.